I don’t know about you, but having a nicely organized house just makes me feel good about life. When my house is a disaster and I have papers poking out of drawers and closets that are overflowing with an assortment of items that don’t belong, I just feel a little lost and out of control. 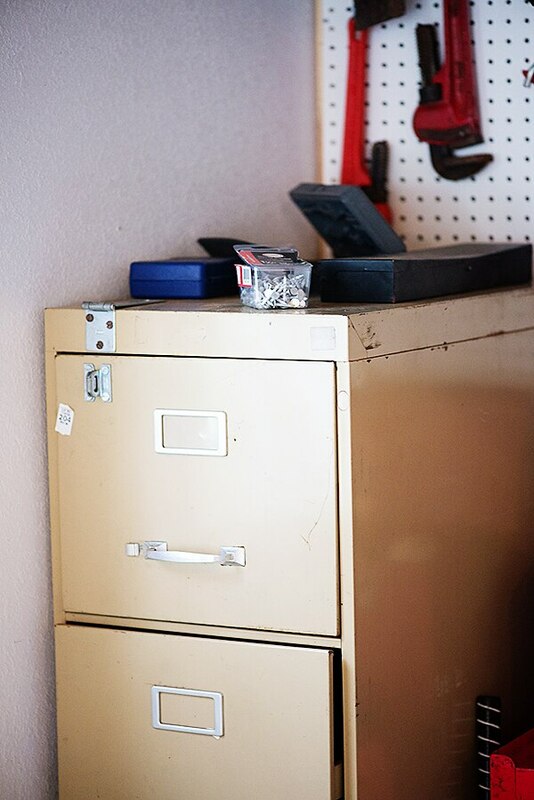 The garage is one place that always seems to need a little organizing. I sent my husband out to the garage and had him get busy tidying up and finding a home for everything. He had some great ideas! 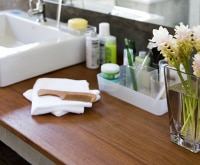 Read on for 5 easy garage organizing tips that will have your home feeling a little more refreshed. 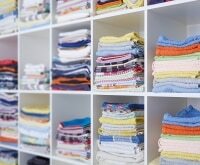 Craving more organizing tips to get your house in shape? 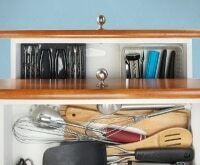 Conquer that counter clutter with 14 kitchen organizing tips, learn 19 ways to organize your bedroom, and discover 9 steps to getting your family organized — and keeping them that way! 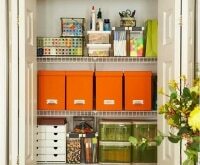 Don’t forget to check for Amazon coupons for great deals on organizing and storage supplies that will help you transform your garage into a zen-like paradise (or as close to one as a garage can get)! I hate digging through a toolbox for the right screwdriver, so I have my own set that came in a cloth holder. It folded up and was easy to carry around, but I never actually carried it anywhere. We unfolded it and hung it right on the wall with a couple of nails. 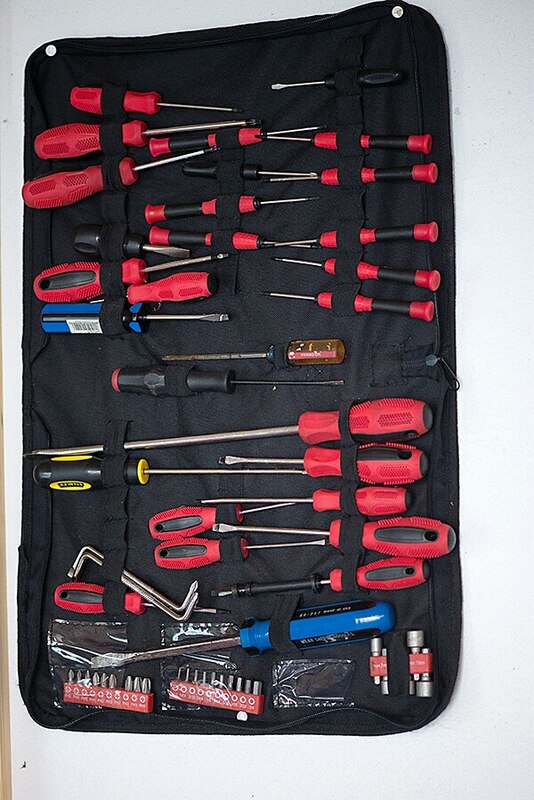 It’s so easy to see every tool that’s in the case and just grab what you need. I don’t know about you, but the garage is a fairly low priority in my household, so we definitely try to stay within a small budget when it comes to garage storage. 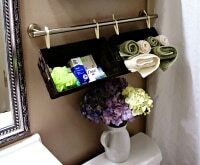 The best way to do that is to repurpose what you already own and aren’t using. My husband had this old file cabinet in the basement that we never used, so he filled it with all kinds of things out in the garage. It’s doesn’t take up much space, but he was able to add quite a few tools in there. One drawer is even full of tape — masking tape, duct tape, and electrical tape! 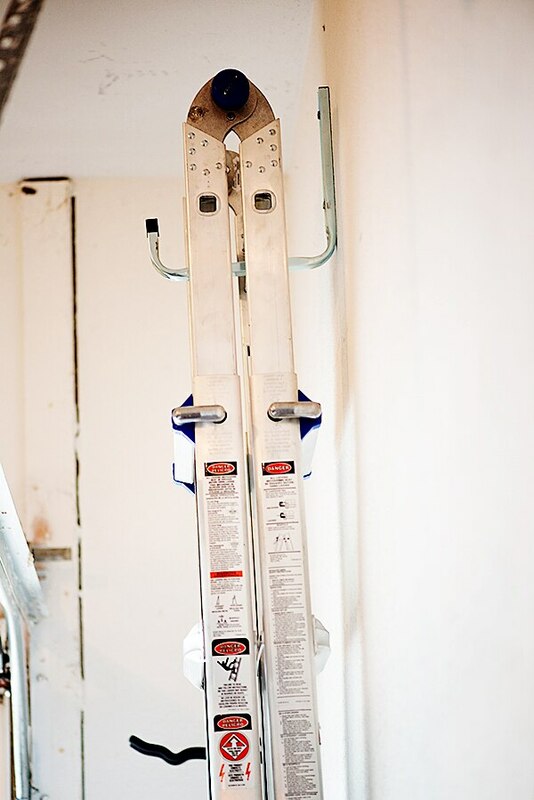 One thing that really makes the garage just feel a little more organized is hanging up your ladder. 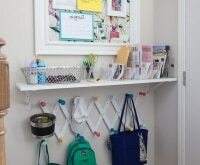 It takes five minutes to put a hook in the wall and hang it, and it looks so much nicer than propping it against the wall. If you have kids, you probably have balls rolling all over the place. 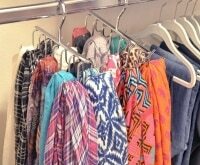 This genius storage hack takes just a few minutes of work and is totally budget friendly. 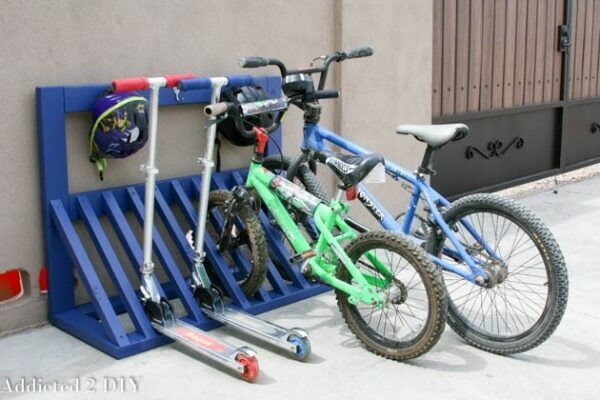 If your kids have a tendency to drop their bikes wherever they stop, this DIY bike rack will save the day. It’s such a simple concept, but will really help your bikes find their way home. 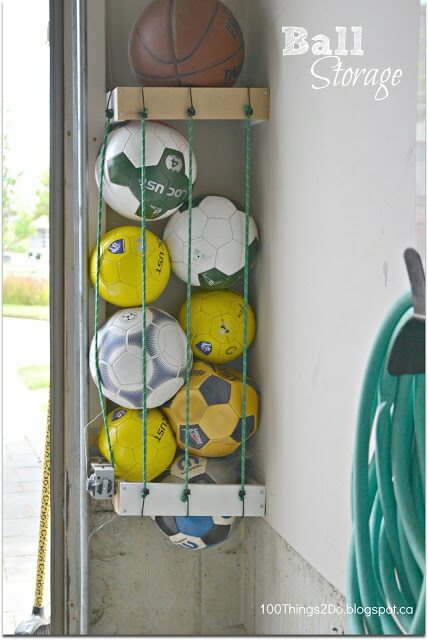 Do you have any clever ways you organize your garage? Share them with us in the comments below!